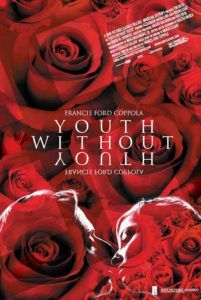 I hate having to write this review because I respect Francis Ford Coppola’s work immensely, but part of me despises his new film, his first in 10 years, Youth Without Youth. Reinventing his work, Coppola has entered pretentiously intellectual territory in an attempt to reclaim his art. He says this is his most personal film, perhaps because it reflects on history, one man’s life, and on getting second chances. Fortunately, Coppola has more than a second chance; he can always make more movies. Romanian intellectual Mircea Eliade wrote the 1976 novella on which Coppola based his film. It follows 70-year-old Romanian linguist Dominic Matei (Tim Roth), also an intellectual, whose life’s work involves researching the origins of language, an ambitious-yet-unfinished project that’s spanned his life over. In 1938, in Bucharest, Dominic is hit by lightning. His umbrella and other belongings are set ablaze by the blast; he should be dead or blind or mute, but instead he’s just badly burned. After numerous X-rays, Dominic’s doctor (Bruno Ganz) informs him that his elderly teeth are being pushed out by new ones. His balding head is now full with hair again. His skin is smooth and young. He looks as though he’s 40-years-old. But these physical signs are just the beginning. If Dominic waves his hand over a book, he has the ability to know its contents; helpful, when amassing information for your magnum opus. He also uses occasional bouts of telekinesis, is completely in tune with his memory, and has a second personality, which he refers to as his “double”. With WWII and the Third Reich building to a head, Hitler’s top scientist, who has his own theories about electricity extending the lifespan of an organism, hunts Dominic; perhaps he seeks to make the German solider a super-man, or use Dominic as a weapon. Seduced by a Nazi spy who toys with his subconscious, Dominic’s secrets are revealed and he goes on the run, hiding his identity with phony names and passports. He’s also approached by someone (Matt Damon, in a pointless, distracting cameo) from, one suspects, the CIA, to join the Americans. But with his split personality, Dominic remains somewhere in-between good and evil, whatever that means, and turns down the offer. Oh, and there’s a woman, Veronica, who looks strikingly similar to Dominic’s love, the-one-that-got-away, Laura (both Veronica and Laura are played by Alexandra Maria Lara). Turns out she was hit by lightning too, only she’s growing older physically, while her language skills regress every night by period. One night she speaks Sanskrit, the next Babylonian, then Sumerian, and maybe, if Dominic is lucky, her language will regress to Ur-speak, or to caveman. Beyond that, I’m at a loss to explain the plot intricacies. 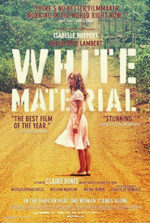 The film works heavily in dreams, time, identities, personalities, language, paranormal abilities, and philosophy. It begins like a paranormal spy yarn and ends like a happier version of a David Lynch movie. This is dense material I doubt most viewers will be able to pass through, especially when expecting another masterpiece like the director’s monuments Apocalypse Now, Bram Stoker’s Dracula, The Conversation, or The Godfather movies. I attempted to talk myself through it, but have resolved that we’re not supposed to “get” it. That Coppola directs brilliantly is without question; his camera work and overall production are beautiful, even overly ambitious for a director his age. The clarity of his production is staggering; even still, we realize about half way through Youth Without Youth that we have no idea what’s going on. Maybe he doesn’t want us to understand; maybe we need to see it from his eyes. While I enjoy the occasional nonlinear piece, when I think to how well Coppola handled linear narrative in the 1970s and 80s, I wonder what happened in the last 10 years to generate such a garbled mess. Coppola has been off working on Megalopolis, an ambitious pseudo-sci-fi film about urban expansion. Beyond complications gathering a budget, 9/11 seemed to strike down the plans for his script. Into creative limbo he went, where he remained for some time. A friend gave him Eliade’s text for inspiration—he loved it, and now made the novel into a motion picture. At least he’s out of his rut and making movies again. Now, thankfully, he’s hard at work on his next picture Tetro, with Javier Bardem and Matt Dillon set to star. 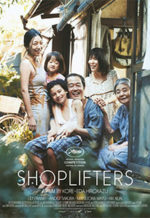 According to early reports, the new film follows an artistic Italian family. Not much more than that is known, because his Buenos Aires offices were broken into and the script stolen from Coppola’s laptop. But he’s moving ahead, hopefully reclaiming, rather than reinventing (or at least reinventing in a different way than this), his art sometime soon. I can only hope that with Youth Without Youth, he got this ambiguous, dreamlike, ostentatious, nonsensical, artsy, metaphysical feeling out of his system.